Land rover defender 90 1985 fully off-road ready with air back locker and roll cage. I have owned this truck about 6years and have had lots of fun in it and spent quite a lot of money on it. Please read all of my description. 200tdi engine and box from discovery. No rot on the chassis anywhere. It has got 4 seats all with seat belts, front seats are from a mx5 but fixed. CD player with 6x9 speaker. I have probably missed some stuff. 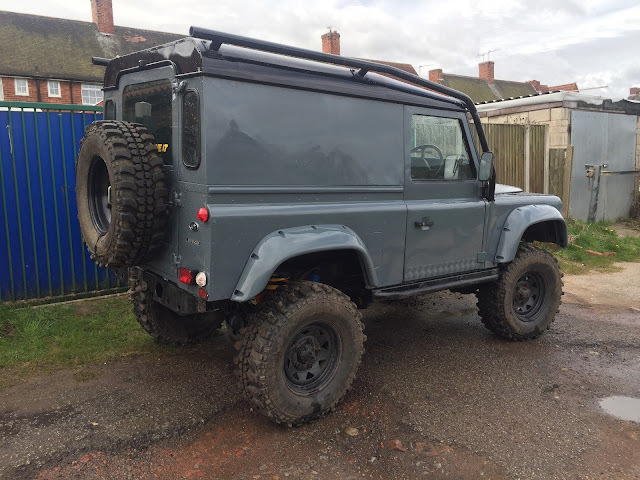 It was re sprayed just over 2years ago but has been garaged since so not mint. 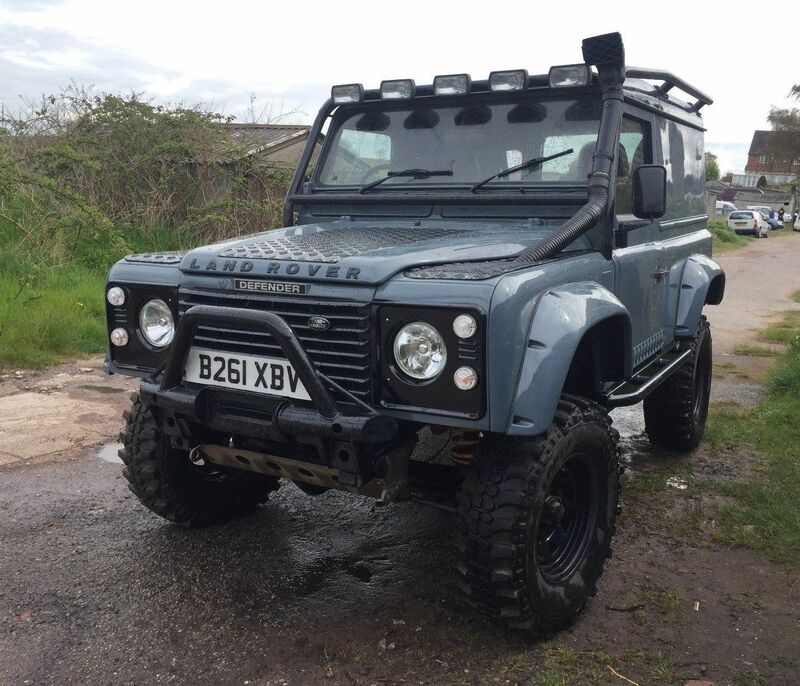 Has some scratches and micro blisters but still looks good for a Land rover it also had new lights all round and grill etc at same time (£1000+) it was yellow before and has bin changed to Grey on the V5c. 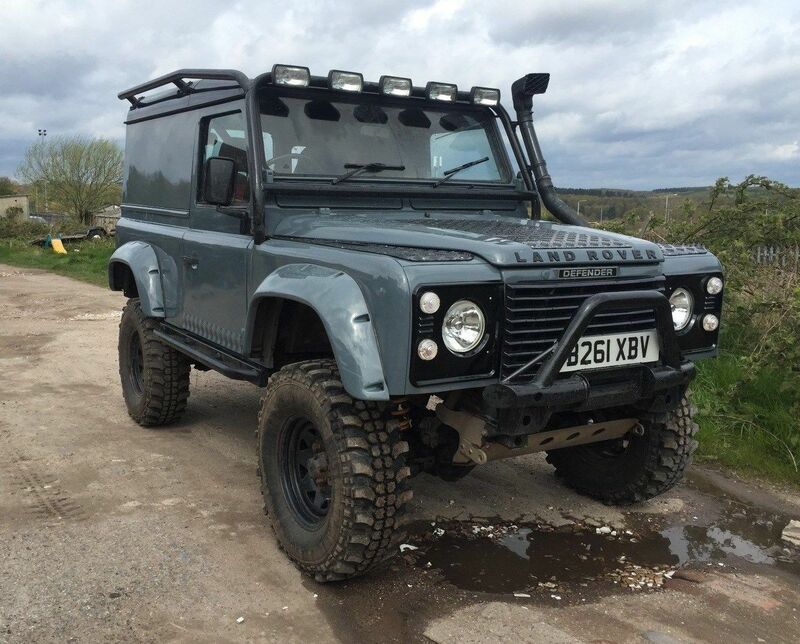 This is a proper off-roader not a Chelsea tractor it’s road legal but not a car type 4x4 like a shogun or something it requires a keen eye and concentration on the road. 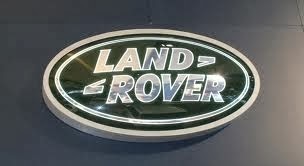 if you have driven a lifted Land rover before you will know the score. Inside needs some work to make it look better as some plastic bits are missing never bothered me. Only drivers door locks from outside but all doors lock. Drivers seat belt is a harness. Heater is on a switch.